England Exterminating has built a reputation for quality pest control, wood-destroying organism (WDO) reports, quality wood repairs, professional chemical treatments, and timely completions. So when Steve England, the owner of England Exterminating, decided it might be time to sell his business and retire, he went looking for a company with many years of experience in pest control and WDO treatments. It was very important to Steve that the company, to which he would be selling the business that he had spent many years building, possess the same dedication to integrity, pride, and quality of work that England Exterminating has provided to his customers over the years. It was also vital that the new company be committed to staying up to date with current industry standards by continually educating its workforce in termite and pest control, the latest materials and techniques to effectively control pests, and that important pro-active guiding principle called Integrated Pest Management. We are now part of Clark Pest Control, which has been in business since 1950, when it was founded by a veteran after he returned from service in World War II. Clark has 22 branch offices across California and northwest Nevada. Like England Exterminating, Clark is a full-service company, with its own in-house licensed technicians and carpenters, with the same dedication to excellent customer service that you have come to know and love. 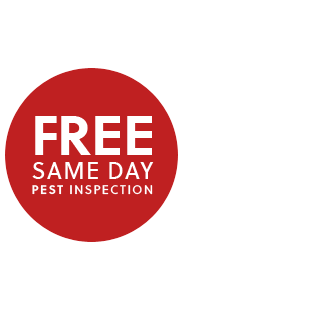 We are confident that you are going to be very satisfied with the way Clark Pest Control does business, and we’re excited that you will have access to some great new services and products. For example, Clark offers weed management, turf and ornamental services, lawn and tree fertilization, bird and bat exclusion, rodent exclusion, and a Termite Infestation Protection (T.I.P.) warranty that is second to none. Our contact information is still the same, and we are still here to answer any questions you may have.